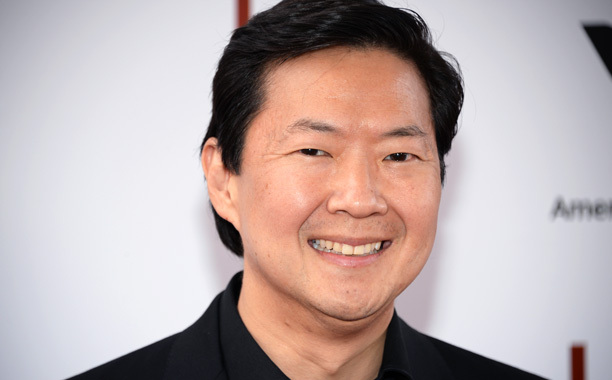 Actor, producer and writer Ken Jeong, known for his scene stealing abilities, has established himself as one of today’s top comedic stars. In May of 2009, Jeong appeared as the Asian mobster Mr. Chow in the sleeper-hit comedy The Hangover, also starring Bradley Cooper, Ed Helms and Zach Galifianakis, which earned him three Teen Choice nominations and an MTV Movie Award. The film was the highest-grossing R-rated comedy to date, with over $467 million worldwide, only to be trumped by The Hangover 2, which grossed $581 million worldwide. Jeong’s career path started off on a different course. He earned his undergraduate degree at Duke University and went on to get his medical degree at the University of North Carolina. Jeong completed his internal medicine residency in New Orleans all the while developing his comedy. In 1995, Jeong won the Big Easy Laff Off. The competition, which was judged by former NBC President Brandon Tartikoff and Improv founder Budd Friedman, turned out to be his big break, as Tartikoff and Friedman urged Jeong to head to Los Angeles. In television, he was a series regular on the critically acclaimed NBC show Community from 2009–2015. The cast won a TV Guide Award for Favorite Ensemble in 2012. In 2015, Jeong directed an ESPN 30 for 30 documentary, Student/Athlete, and he also produced the Sundance award-winning film Advantageous, which received a Film Independent Spirit Award nomination. Now Ken stars and produces the hilarious show Dr. Ken, which you can see on ABC on Friday nights. Jeong spends a lot of his off time volunteering with Stand Up 2 Cancer, which is a cause very dear to his heart. 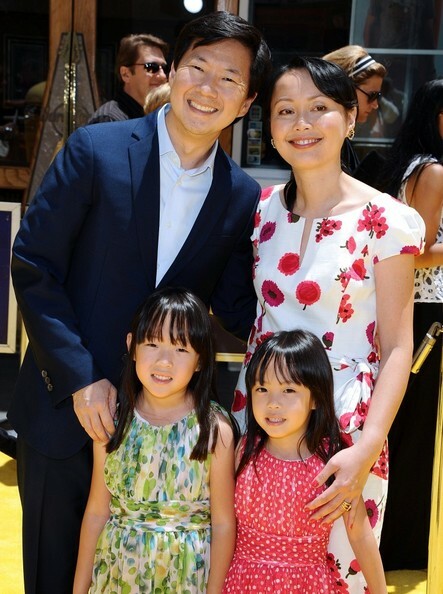 Jeong currently resides in Los Angeles with his wife and twin daughters. Art Eddy: I think by now many people know that before you were an actor you were a doctor. So my first question to you is how does it feel to be able to make it in two of the most difficult industries? Ken Jeong: (Laughs.) Yeah, it goes without saying. It is really surreal. One of the ways that I can figure it out sometimes is because getting into medical school and being a physician was so tough. It was beyond tough. It may have viscerally helped me prepare for the stress and pressures of show business. It is a completely different profession. Admittedly it is very non-linear as opposed to an academic profession like medicine. Sometimes the amount of volume of stress is the same. Obviously medicine is life or death. Show business is more of an internal pressure. Will I make it or not make it? They are completely diametrically opposed things, but both high pressured filled situations. One of them is substantial life of death proportions and the other is well just acting. AE: At what point did you realize that acting was going to become your full time job? KJ: It was in college even before I became a doctor. I think that is why my love and passion for acting is so deep rooted. Before I was a physician at Duke I discovered acting. I actually got accepted into the Duke Acting School. I turned it down because I was pre-med and about to fail out of organic chemistry. It was a very difficult time because I knew I had potential in the world of acting. I knew I had the talent, but looking back it was both me and my family’s concerns. I didn’t know if I could survive that business. Keep in mind I was a kid. I was 19. I haven’t lived a life. So this was something that I didn’t know if I could really do or not. It was my parents vocalizing that and me not disagreeing. We had a mature conversation. I grew up in the south. I didn’t live in California. I didn’t know anything. I didn’t have any connections. Looking back I don’t know if a guy at that point could handle all that rejection. There is a lot of rejection. AE: You produce and star in the very funny show on ABC called Dr. Ken. It is now in its second season. How did that show come about? It was nice to go back to basics of playing the role of a physician and the role that I know. Being married. Having kids. Having a support system. Chow and Chang really had no support, but themselves. So it was nice to go back to that because that is the character I played in Knocked Up. It was nice all around. I honestly feel that with Community next to 30 Rock and Arrested Development that it is just one of those brilliant shows of the last ten years. I was a part of that phenomenon. Dan Harmon is one of the smartest people alive. How do you follow that? At the end of Community I remember thinking I am not going to set out to make the funniest show or the best show. I just want to make my show. That is all I wanted to do. I wanted to make my show. Things I have learned from films and shows and apply what I know. Everything is learning on the job. I actively produce, write and act on the show. I am having so much fun doing it. It is very consuming. It is a 24/7 job. I am not just the lead actor that has a lot of lines. I help write the lines. It has been a lot fun and I have gotten a lot better at it. AE: You have done voice acting, acting in films and on TV, as well as standup comedy. Do you prefer one medium over the others? KJ: I would definitely like to produce more. I was peripherally involved as a producer on this one movie that I had a dramatic part in was a movie called Advantageous that was written and directed by this brilliant director named Jennifer Phang. I was a producer on it just on the side. I helped fund some of the movie in the post production phases. We were fortunate last year that it got into Sundance. It got nominated for an Independent Spirit Award. The genius was already there. I lent my name and resources to it. That inspired me to produce other projects that interested me. There was a project called K-Town Cowboys that was based on friends in Koreatown that I executive produced and had a cameo in. Again that was very peripheral. I just lent my name. So those things helped whet my appetite to produce. Being so actively involved in Dr. Ken is wonderful. So definitely I have an eye on producing in the future independent of acting. I am no dummy. I know that what got me to the dance is my performance and my acting. I guest starred on Fresh Off The Boat both the season finale and season premiere and those two episodes were just pure acting. They are so gold standard. I love that show inside and out. So to answer your question there are benefits and drawback to both. When you are actively producing and the star of Dr. Ken the acting is still paramount. I have an obligation to the show to perform the hell out of it. When you are just an actor on something, not Fresh Off The Boat or Community there are some projects that you are on that you wish you had more of a say. Just by design the actors are traditionally the last ones signed to the show. There is so much production and writing that is going on. 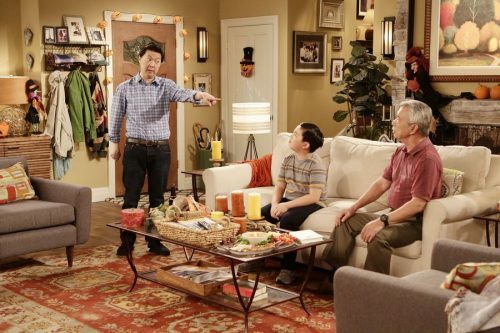 Dr. Ken took two years before the pilot got made. Everything in this business takes years to develop. I want to produce more. I think that is the medical side of me. You have to be organized. You have to be disciplined as a doctor. Producing brings out that side of me. It is a little bit more left brain where you have to be more organized, be disciplined, and be on time for things. There is also creative things as a producer as well. Ad-libbing and thinking outside the box is a fun puzzle. AE: Switching to fatherhood now, what were some of the first few thoughts that popped into your mind when you found out that you were going to be a dad? KJ: It was pure joy. I have twin girls, Alexa and Zooey. It is the best thing in the world. You live for your wife and kids. It just sets your priorities in life. It is everything that every dad tells you. It sounds cliché. It sounds redundant, but it is 100 percent true. It changes your goals in life. It changes your priorities. You are more focused. I think it has actually helped my life and my career. You basically determine what is important in your life and what is not. All I do is work on the show and then be at home. I think people will be surprised by how simple my lifestyle is. I work really hard and then I am at home and I rest really hard. I think that has kind of helped keep me afloat. I try to come home to be able to put my kids to bed. If I can get home by eight and put my kids to bed, I am happy. I feel like I have gotten away with something. I am like wow. I have my own show. I get to work in Hollywood on my own project. If I can still make it back home by eight to put the kids in bed then wow I am having my cake and eating it too. Then I get to hang out with my wife for the rest of the night. That is my dream. That is all I really wanted. AE: You had one of your daughters work with you on Dr. Ken. How cool was it for you to have her see what you do for a living and actually partake in your line of work? KJ: It was awesome. It all came organically. My daughter Zooey does some community theater. I had thought of this idea last season. We just didn’t get around to doing this idea for her to play my TV son’s stalker. I had it already in my head because Zooey already does this deadpan expression. I had her look through the window in the kitchen and just stare at him. She has no lines in this episode. She just stares at him. She is unbreakable with her stare. She could even do that as a toddler. I was like I got to apply this. All the stars aligned and she did not disappoint. It was pure joy. She goes from stalker to becoming my TV son’s girlfriend. In this week’s episode my character’s father goes through a divorce. It leads to my TV son questioning his relationship and if his grandfather is getting a divorce then I am going to break up with Emily. We gave her two words to say in the show. She says, ‘Something wrong?’ Then my TV son goes to her, ‘Boy someone is in a chatty mood today. I am sorry it is not you. It is just my grandfather just going through a divorce.’ It is really funny. AE: What are some of the core values you look to instill in your kids as they grow up? KJ: I want them to do what they love to do. Encourage them to think outside the box because there are no actors in my family. I thought outside of the box and I am making a career out of it. So Alexa is part of a regional gymnastics team. She has won multiple medals over the last year. Neither side of the family has done gymnastics. Zooey does some acting and like you said has been on Dr. Ken and some other projects with me, but Zooey is also a member of her swim team at school. She is very much into science and academics. It is funny the more acting she is doing the more she realizes that she likes academics more. Even when we were filming Dr. Ken she said she really wanted to stop filming because she had school the next morning. I love that. I just want them to do what they love. That is just so important to me. AE: What advice do you have for new dads? KJ: Listen to your kids. Just listen to your kids. Every kid is different. They will inform you of where to go. Alexa wanted to do gymnastics. No one else has ever done it. We didn’t have any connections or knew anybody that did it. We did the research. We looked into it. She was really interested. It has boosted her self-confidence and self-esteem. She is doing something that no one at her school is doing at that level. She can take ownership. That was all her idea and mom and dad listened and are completely supportive. It is something that Zooey doesn’t do. It is something that Tran and I don’t do. There is something that is really rewarding about her taking that initiative and we followed suit and took her lead. Now she is prospering. I think that is invaluable whether she keeps up with that or not. Who knows what the future holds for her. She can take that pocket of confidence. That is the type of people she should be around. That is the type of friends and family that she should be around. People who listen to her and don’t have a certain bias. Otherwise if I did that I wouldn’t be an actor. From my own personal experiences I think just listening is by far the most important thing. AE: What is your favorite family movie you guys like to watch together? KJ: There are several, but right now it is Zootopia. AE: Do you guys have a favorite song that you all like to sing and dance to as a family? KJ: My kids love Selena Gomez. Love Katy Perry. I am getting old man. (Both laugh.) I like classic rock, Beatles, the Rolling Stones. I also like Red Hot Chili Peppers. I am that guy. AE: Describe the perfect family vacation. KJ: Hawaii is great. I love going to Hawaii with the kids. Lately because I have been so busy it is nice to stay at home and just chill with the kids. AE: You have worked with some incredible actors. Who would you love to work with on your next project? KJ: I have been blessed to work with literally everyone that I wanted to work with in comedy. Rather than working with someone famous, I am a producer that looks at video reels for people to be guest stars. I want to work with people who pleasantly surprise me. We have a really good reputation for, if we really like that actor, of expanding that part. That is really gratifying. That is what Judd (Apatow) did for me and gave me a big break. It is fun to do that on that side of the coin too. AE: You are a great dancer. When you come out to do interviews you dance on the stage. Which is your go to dance move? KJ: (Laughs.) I am an old guy in my forties. Lately I love going on Jimmy Fallon and show and doing the Morris Day and the Time dance. Follow Ken on Twitter @kenjeong and watch Dr. Ken every Friday at 830p/730c on ABC.